The sweater is loose and solid. 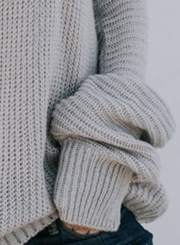 The sweater features long sleeve and off shoulder. Easy to pair with jeans or skirts for everyday fashion.